Camden songwriter Just Jack has just announced a major headline show taking place at The Deaf Institute in Manchester on Thursday 19th of April 2018,. We are incredible excited to be able to offer you Just Jack tickets, but we must also make you aware that the demand is sky high so you will have to book yours before they are all snatched up. Fortunately, placing an order for your favourite gig tickets is made easy with Gigantic as you can access our site from the comfort of your home or whilst busy and on the go using a computer, smartphone or tablet. We know that it is easy to forget when your favourite act goes on sale. So, place a personal reminder with Gigantic and then we can alert you with a text message or an email just prior to their release at 10:00 on Monday 29th of January. 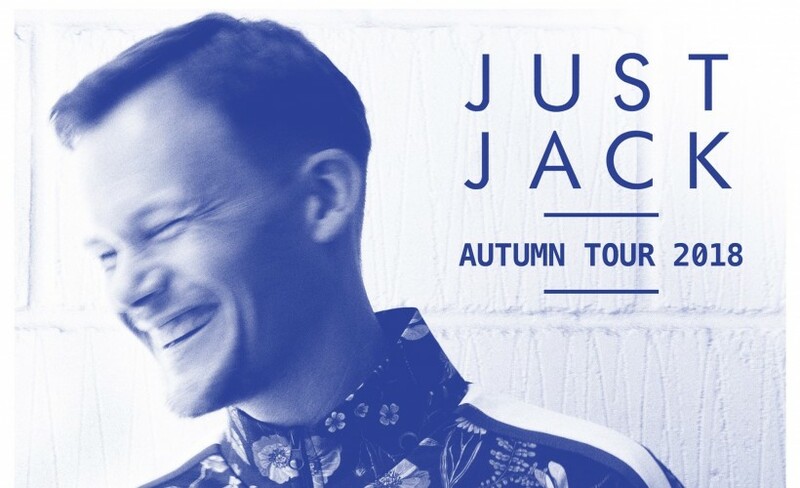 Jack Allsopp aka Just Jack, first emerged in 2003 with his critically acclaimed debut album, The Outer Marker. Released on small independent label, Rolled Gold - under the guidance of Cathal Smyth from Madness �" the album showcased what would become Jack’s trademark sharp lyricism over laid-back beats. His mainstream breakthrough came in 2007 with the album ‘Overtones’ (Mercury Records), featuring the Ivor Novello nominated hit Starz In Their Eyes. This was followed by All Night Cinema in 2009 which produced the hits The Day I Died and Embers. With the arrival of his daughter in 2010, Jack took a break from touring and taught songwriting on a degree course in his new home town of Brighton. Over this period he released four well-received EPs and, under a pseudonym, contributed vocals to a series of successful underground house tracks. Now Jack returns with his fourth album, ‘What We Did Today’, independently released through his own Nearly Native Records. Full of earworm melodies and insightful lyrics, the record tell stories of childhood crushes, failing marriages, dealing with kids when hungover, and being strip-searched at a festival. The production is warm and organic, blending live instruments with analogue electronics. Everyone is excited, and we at Gigantic expect our limited supplies of Just Jack concert tickets to sell very quickly - so make sure you book yours before they all go!